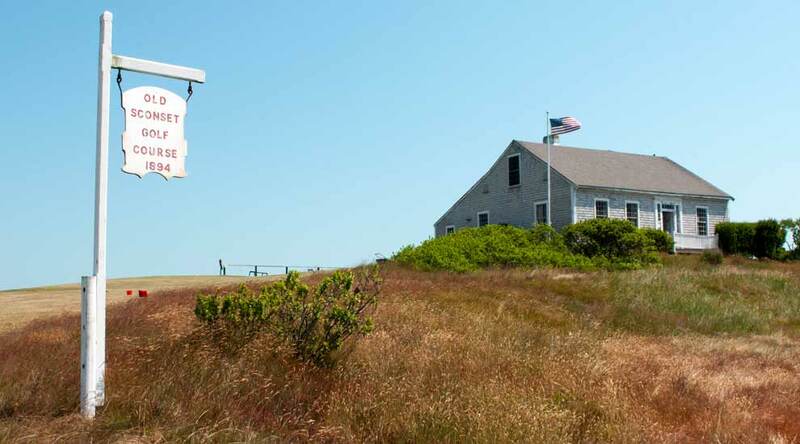 In 2012, the Land Bank acquired the Old Sconset Golf Course, a 9-hole public course with a small clubhouse. Up until the late 19th century, the property was part of what was once known as Bloomingdale Farm. However with its open fields and meadows, islanders and summer residents soon envisioned it as an ideal location for a golf course. The farmhouse was converted to a clubhouse and an 18-hole course was established in 1899. Since then, the course has been reduced to 9 holes, but has always remained open to the public, and therefore exists as one of the oldest public golf courses in the country. This property presents a unique opportunity to experience a part of Nantucket history while enjoying an old world golf experience with the family. The Land Bank invites you to contact the course at 508-257-6596 for additional information. Leaving town, follow the Milestone Road past the turn on the right for Tom Nevers. The parking lot will be on your left, a quarter mile beyond. Handicapped amenities include handicapped parking to accommodate wheelchair access and a handicap-approved reinforced walkway.